Elk Grove, Calif., has always been considered a perfectly-sized “just right” community. In the 19th century, the area was an ideal stop for people trying to travel to or move between Sacramento and San Francisco. As the state grew, especially those two major cities, Elk Grove has been able to retain its status as somewhere near enough to Sacramento that residents or visitors can take advantage of the bigger city’s services and amenities. At the same time, people living in this suburban community don’t have to deal with the heavy traffic and constant chaos that comes with city living. Today, that difference is especially apparent – Elk Grove has about 173,000 residents while Sacramento’s population now stands at more than 500,000. 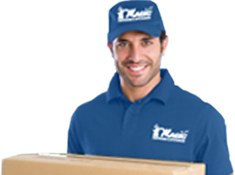 Let’s take a look at some of the great things about this city before you start contacting Elk Grove Movers. Relocating to Elk Grove isn’t too difficult, especially if you’re coming from areas nearby, like the Bay Area, Los Angeles or San Diego. This enjoyable city a straight shot north on the state’s main highways, making it easy for your Elk Grove movers to get your possessions to your new home for a good price. Elk Grove is especially known for year-round beautiful scenery and generally warm temperatures. Many say that living in this area is like it’s always spring or fall – the weather is pleasant, even when it rains, and it rarely gets too cold or too hot. Looking For A Job In California? Though there are plenty of local jobs at places like the Elk Grove Unified School District (the largest employer and the fifth largest district in the state), or Apple, another large operation, many residents are able to find work in Sacramento or the greater metro area. Residents should consider hiring Long distance movers in the Bay Area who should be familiar with the Elk Grove area, including how to get there quickly and easily. Movers should be knowledgeable of the area’s neighborhoods and even some of the attractions and amenities. 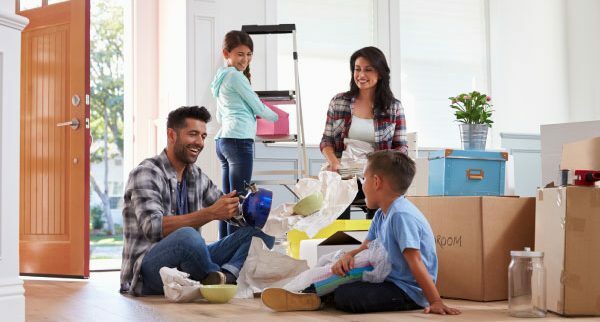 Ultimately, it’s up to the new homeowners or renters which part of town they want to relocate, but local Bay Area movers can offer customers their local knowledge and expertise. Part of the appeal of Elk Grove is that there’s something for everyone, with apartments, condos and single-family units available. This could be handy whether you want something temporary while you get a feel of the area, or plan on staying for years. Home prices range from the low $100,000s to more than $400,000. City officials still say that Elk Grove maintains that same spirit of independence, hospitality and excitement that was present more than 100 years ago. It has received a variety of national awards for welcoming all types of people, including different races and cultures, different economic groups, and different career groups. Considering Moving To Elk Grove, CA? Once you’re ready to consider Elk Grove, the first thing you’ll need to do is find a reliable and personable moving company. Click HERE to learn more about Magic Moving specials. November 27, 2018 , Posted in Long Distance Moving, Moving in the Bay Area, Residential Moving Recognition by movingadmin.